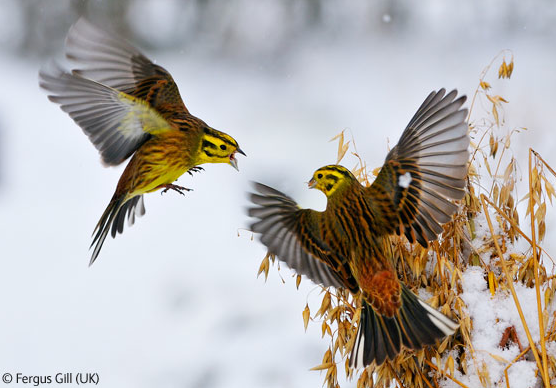 Fergus Gill is the Wildlife Photographer to watch. Winner of this years Young Wildlife Photographer of the Year with The Frozen Moment, he is no newcomer to the competition, having won the junior overall prize last year and winning his age categories in 2004 and 2007. 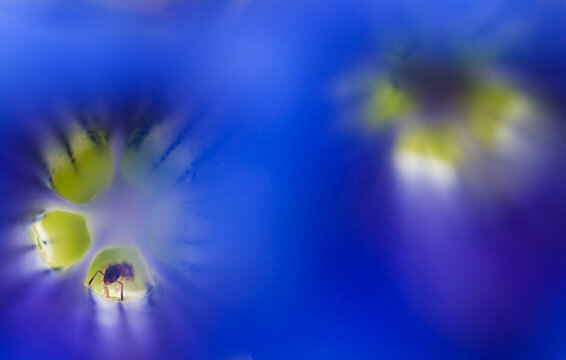 Taken in his garden on Boxing Day 2009, The Frozen Moment captures the atmosphere and the delicate colours perfectly. 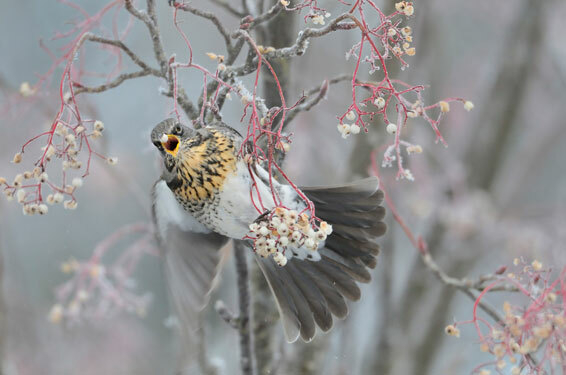 Judge Marcus Carwardine said that 'The hovering fieldfare is posed as an artist might paint it. 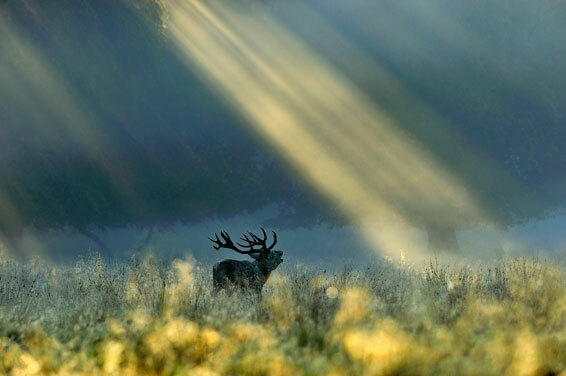 A winning gem of a picture"
There is already talk of him entering the big time but will his photographs, taken from the safety of his back garden in rural Perthshire compete with the far off locations found in the adult competition. Will Gill keep with the home comforts, what he knows best or will he take a risk on the wild world out there? Perhaps it is a good omen that this years winner of the adult Wildlife Photographer of the Year is a former winner of the junior prize himself. 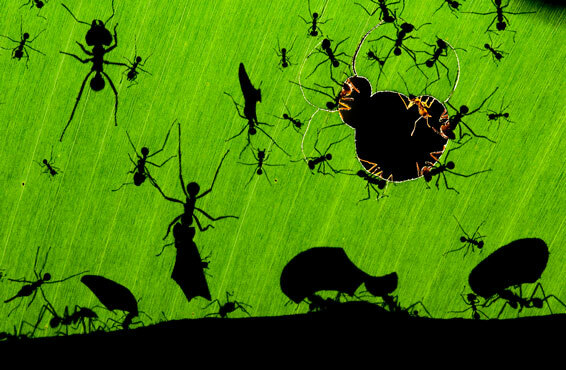 Bence Máté has won the overall Wildlife Photographer of the Year with his photograph A Marvel of Ants. Máté won the Junior prize in 2001 and after several further successes in the competition, he won the Erik Hosking Award for photographers aged between 18 and 26 years old in 2005 and 2007. The Wildlife Photographer of the Year exhibition, opening tomorrow at the Natural History Museum contains some of the most amazing photography of this year. As well as the overall winners, the top placing photographs in each category are also on show. The photographs glow against the black background, showing the infinate colours that nature can produce amazingly and work in so many different ways, as a whole and then each tiny detail, several images within the one whole image. My particular highlights of the show are Pierre Vernay's Dawn Call and Ben Cranke's Storm Riders from the Animals in Their Environment category, Eirik Grønningsaeter's Predetory Steps from the Animal Portraits category and Edwin Glesbers' Out of the Blue from Creative Visions of Nature. 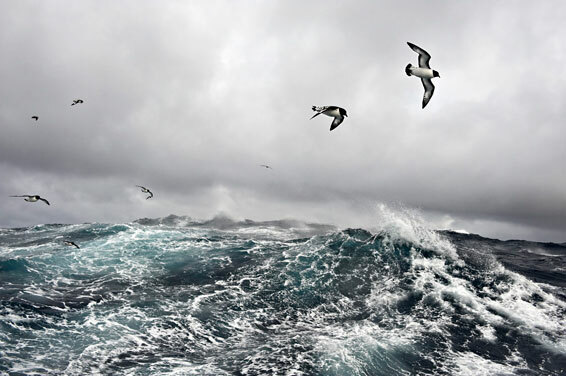 The Veolia Environment Wildlife Photographer of the Year is open 22 October 2010 to 11 March 2011 at the Natural History Museum, tickets priced at £9.00. 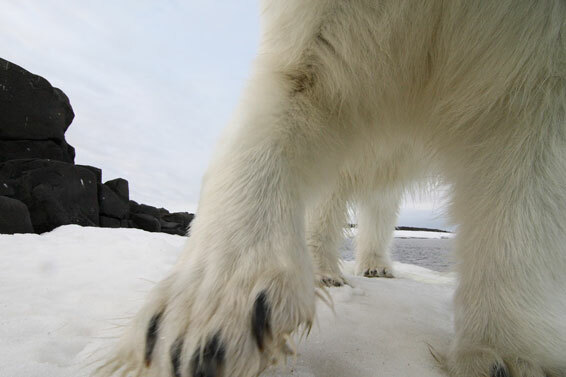 The Royal Geographical Society is hosting WildPhotos 2010, 22-23 October 2010, a two day event with the winners of the Wildlife Photographer of the Year and speakers including underwater photographer, David Doubilet; landscpae artist, Joe Cornish and wilderness photographer Stefano Unterthiner. Images sourced from nhm.ac.uk. These are wonderfully fantastic images i ever seen. Thank you so.. much for posting these really awesome. I simply love every single photo shot. Last two three images are truly beautiful. They are amazing photos, I know the exhibition travels after it leaves The Natural History Museum in London so you may be able to see some of the photos up close. Chile's Trapped Miners are Freed from their Tomb.